Rummy websites always have loads of online rummy promotions, both small and big ones which guarantee its players to get huge cash. In June also, the case is no different. The month of June has brought some brilliant online rummy promotions to keep its players engaged and entertained. Some of the rummy websites competing in providing best rummy promotions are Junglee Rummy, Rummy Millionaire, Adda 52 and Ace2Three. Let’s check out who has the best. Ace2Three has brought this brilliant online rummy promotion from where you can win up to Rs.1 lac. The promotion is a one day event that will start on Saturday, 7th of June 3 PM. This free entry tournament has a limit in the number of players. Only first 3000 players will be able to join this special weekly rummy tournament. The top 300 players at the end of the day will be paid as per their winnings. Adda52, one of the best online rummy website in India has brought a online rummy promotion for the Gold lovers. The promotion runs on all Fridays of June. The start date of the promotion is 6th and will end on the last Friday of June, i.e.27th. If you want to enter the tournament, you have to make a minimum entry fee of Rs.50. The tournament will start at 9 PM and the top 4 players with maximum wins take home Gold and Silver Coins. 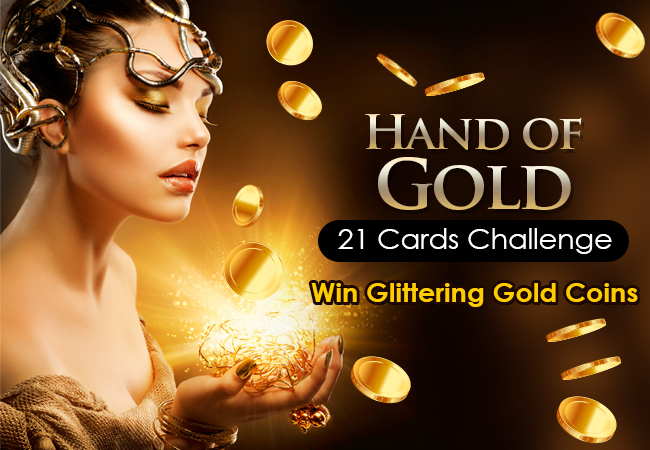 Hand of Gold is another online rummy promotion that gifts its players with Gold. From this promotion Junglee Rummy is promoting 21 Cards Rummy rather than the usual 13 cards rummy that other sites are promoting. This is a one day online rummy promotion and will start tomorrow 6th of June 12 AM till 11:59 PM. The top 5 players who play cash games of Rs.100 and above will get gold coins worth Rs.15,000. These are the best 3 online rummy promotions for the month of June. If you came across better promotions, let us know in the comment section below.